Welcome back students and new incoming freshman! The Tarleton Art and Digital Media Studies area is excited to see students coming back to campus. We have our biggest enrollment ever this semester so we are looking forward to seeing many new faces. Classes start on Monday, August 28th. Comments Off on Welcome back students! Final Exams for MWF 3:00pm and other times not listed. Final Exams for M-F 5:00pm or later. 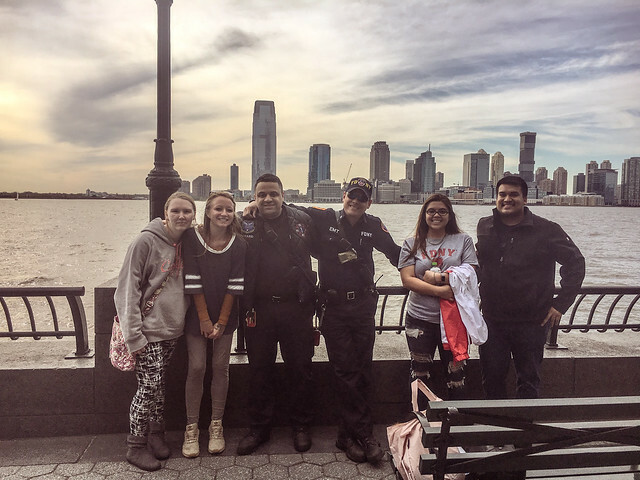 Faculty and students from Tarleton took a field trip to New York City in April of 2017. Students got to see the Whitney Biennial, the Museum of Modern Art, the Met, the Brooklyn Museum and others. They visited for a couple hours with artists Josh Nierodzinski and Natasa Prjelvic to talk about graduate programs, residencies, and studio and professional practices. Starting next week, the Art and Digital Media Studies Senior Exhibition Series. Below is the following schedule. All Senior Lectures will be at 12 noon in the Gallery.